On Monday and Tuesday, Secretary Locke, along with Secretary Clinton and Geithner, engaged with their Chinese counterparts at the third meeting of the U.S.-China Strategic and Economic Dialogue. Since becoming Commerce secretary, Locke has played a key role in the Obama administration’s efforts to improve the commercial environment in China and open up its markets for U.S. businesses. 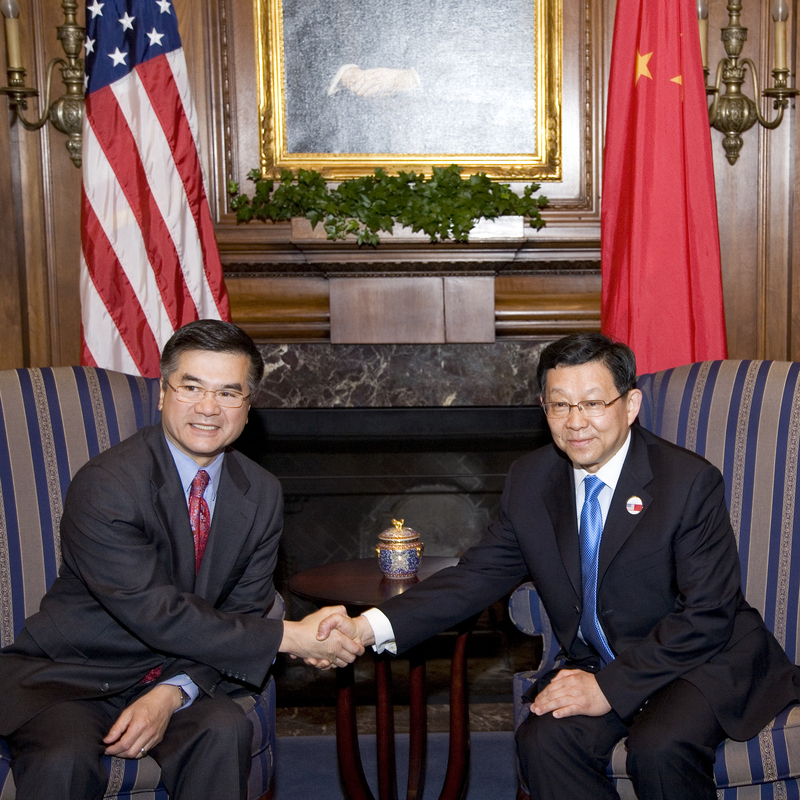 Locke, who co-chaired two sessions of the U.S.-China Joint Commission on Commerce and Trade, led a clean energy trade mission to China and Indonesia in May 2010 and accompanied President Obama on his visit to China in November 2009, has worked to level the playing field for U.S. businesses and promoted American-made products and services in the Chinese market, in order to create good-paying American jobs and advance President Obama’s National Export Initiative. On Monday, Secretary Locke attended the opening session with Vice President Joe Biden and participated in both the economic and strategic track sessions of the Dialogue. During the meetings, Locke discussed top U.S. government priorities regarding China, including transparency, intellectual property rights protection and China’s policies toward its state-owned enterprises and national champions. He spoke about prospects of cooperation with China on issues related to marine living resources, ocean policies and environmental protection. On Tuesday, Locked hosted a meeting with Chinese Minister of Commerce Chen Deming to continue their ongoing engagement to strengthen U.S.-China commercial relations. In the afternoon, he joined Secretaries Clinton and Geithner in a small group lunch at the Blair House with U.S. and Chinese CEOs and business leaders to engage the business communities of both countries and discuss ways to improve the U.S.-China economic relationship.